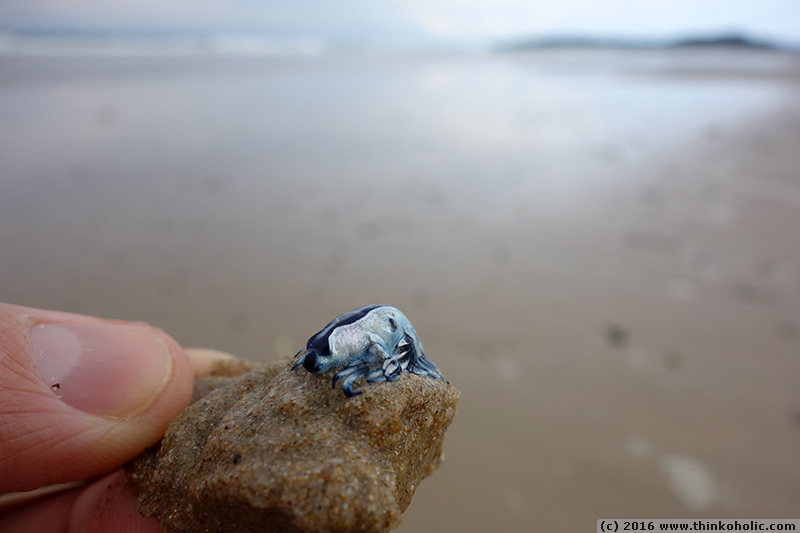 on a recent beach stroll on the northern new south wales coast, i came across small weird-looking blue-and-white creatures with lots of appendages. 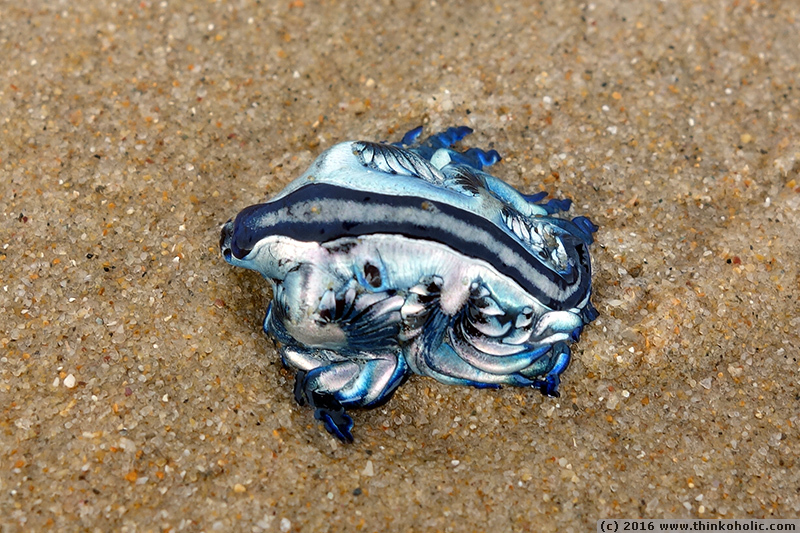 having washed ashore, they looked more like unshapely blobs, but as soon as they got into a bit of water, they unfolded into a beautiful combination of shape and colour. 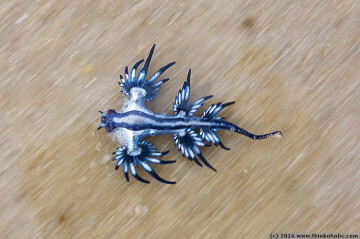 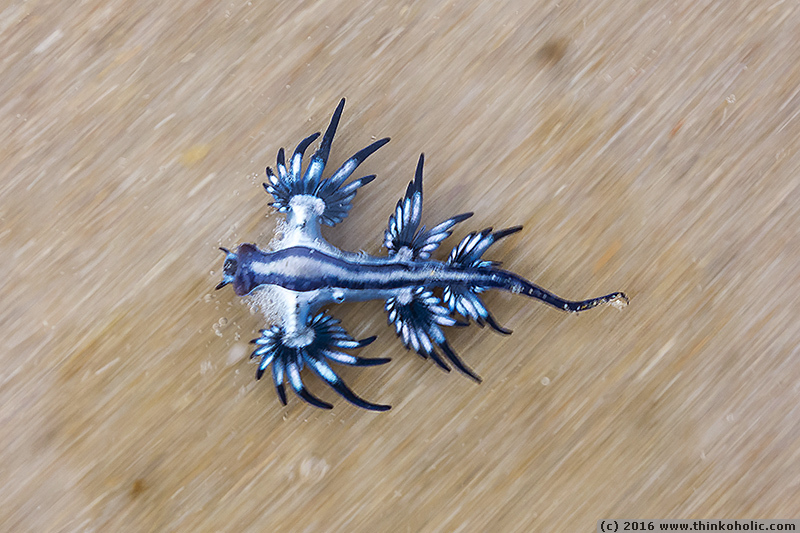 common names of this creature (glaucus atlanticus) are blue dragon, sea swallow or blue angel. 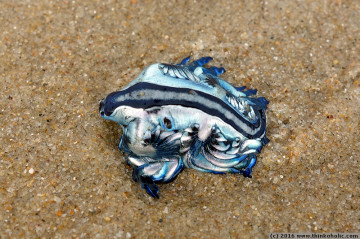 they’re in fact nudibranch snails that float upside-down on the sea surface and prey, amongst others, on venomous jellyfish such as the portuguese man o’ war. even cooler than that, they can store the jellyfish’s stinging cells (nematocysts) in their tissues and use them as a defence against predators. 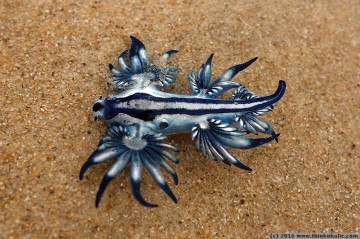 in other words: touching them with bare hands might get you similar agony as a sting by the portuguese man o’ war! 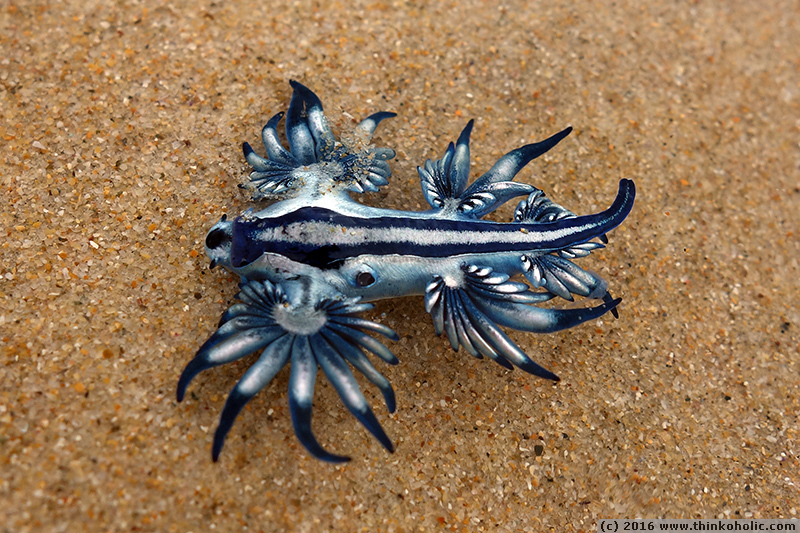 note: what looks like fan-shaped arms or legs are actually outgrowths, whose tips contain the stored nematocysts.